It was a fantastic night with fundraisers all over the country involved including the Royal Bank of Scotland Kiltwalk who raised - £242,582.09, Wholesale Domestic Bathrooms who sponsored the Big Scottish Breakfast and helped raise - £69,304 and the amazing support once again from the Scottish Government who match funded every £1 up to £1m. Featuring fundraising from schools, individuals and companies it was a great night showing Scotland at its most generous. 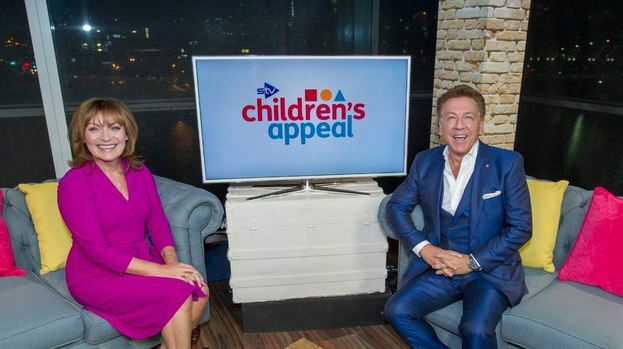 The incredible fundraising total was unveiled at the annual STV Children’s Appeal live show tonight, Friday 5 October. This year’s Appeal campaign has seen a host of incredible fundraising feats, all helping to support Scotland’s children. STV’s popular weatherman Sean Batty jetted off to Shetland to join locals for a day of tea parties and fundraising events, record-breaking adventurer Mark Beaumont was joined by 80 intrepid cyclists for a gruelling 240-mile coast-to-coast challenge in aid of the Appeal, and fundraisers from across Scotland ran, walked and cycled for the Appeal in the Great Run, Kiltwalk and Pedal for Scotland events. In its first seven years the Appeal raised £16.3 million. The charity was launched in 2011 by The Hunter Foundation and STV. In 2013, The Wood Foundation pledged its support to the Appeal for projects in the North East.